Billy Sunday | Pray for Revival! You are currently browsing the category archive for the ‘Billy Sunday’ category. Who was Billy Sunday and why did he leave such a huge impact on Christianity? Billy Sunday (1862-1935) was born on November 19, 1862, in Ames, Iowa, and in less than a month, his father died, leaving his mother with three small children to care for and no means to care for them. By the time he was age thirteen, all three children had to be sent to an orphanage as his mother couldn’t provide for the care of her children due to a lack of financial means. Sunday ran away from the orphanage at age 15 and found a job as a stable boy for Colonel John Scott who lived in Nevada, Iowa. Scott not only gave him a place to live but also a place to receive an education, so Scott sent Sunday off to school. The problem for this restless soul was that Sunday just couldn’t take school, so he ran away from that too and moved back to Ames, Iowa and found what he thought was his first love; baseball. Forced to earn a living, he moved to Mashalltown, Iowa where he was able to work a few odd jobs that afforded him the ability to play for the local baseball team. This was when a future Hall-of-Famer, Cap Anson, a native of Mashalltown, Iowa, saw Billy Sunday play and signed him to play for the Chicago White Sox. Sunday’s life would never be the same. Billy Sunday started playing for the Chicago White Sox, he was less than impressive. He struck out on his first 13 plate appearances; however the team still relished his base running, as he had champion sprinter speed. Sunday once stole a record 92 bases and has only been topped by Hall-of-Father, Ty Cobb who stole 96 bases. He was later traded to teams in Pittsburg and then later to nearby rival, Philadelphia, playing professional baseball for eight years, but something was about to change his life, indeed, his eternity, forever. Even though he didn’t initially want to go, and knowing his adversity for sitting still during teaching, he accepted an invitation to attend the Pacific Garden Mission in Chicago. When he was there, he experienced the new birth, being born again (John 3:3-7) and so in 1886, Billy Sunday was saved. Two years later he would marry Helen A. Thomson and they would have four children by their marriage. Because Helen Sunday was such an affection and loving woman, especially towards children, she became known as “Ma Sunday.” Billy Sunday didn’t have to fast or pray about it; he simply quit baseball in 1891 and poured his energies into the YMCA, becoming the assistant to J. Wilbur Chapman, the Y’s evangelist. In 1896, Billy Sunday took a gigantic leap of faith by beginning a serious of tent or revival meetings and stepping out on his own with his very first meeting in Garner, Iowa in 1897, where nearly 100 people received Christ. That was confirmation to him that this is what he was supposed to be doing. 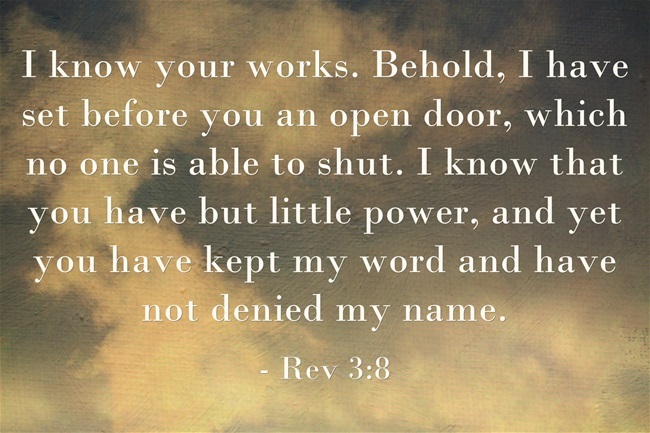 Obviously, God had opened a door that only He could (Rev 3:8), and so Sunday walked through that door, leaving behind the fame and the fortune of professional baseball, just as some of the disciples walked away from the only thing they ever knew, and that was the fishing trade. They, and Sunday, were to become fishers of men. He was eventually ordained as a Presbyterian Church, however he spent too many hours on the road to preach in any one church permanently. Near the end of his life, Billy Sunday began preaching about the evils of alcohol and may have influenced, even in a small way, the temperance movement which eventually led to Prohibition in 1919. Even though it was later repealed, Sunday continued to fight against it as it had brought many a man and his family into ruin, like poverty and homelessness. Many were persuaded to quit. In the very last sermon that he would ever give at age 73 (Oct. 1953), he still had enough fire in his bosom to cause 44 souls to put their trust in Christ. When Sunday died of a heart attack on November 6th, 1935, he had reserved enough money to help his children through the coming Great Depression. 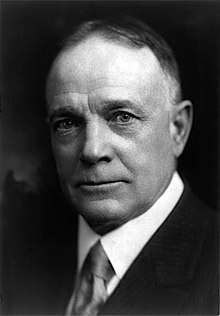 Tragically, Billy Sunday brought thousands upon thousands to saving faith in America but his own children rejected the gospel and today, they are in a state of eternal regret, like many who will read this and reject Christ and thus, have the wrath of God abiding on them for all time (John 3:18, 36). One son committed suicide while another died of multiple sclerosis. The other child, a son, lived a life of sinful practices, sexual immorality, drunkenness, and all sorts of debauchery. At the end of his life in 1935, that may have been one of Sunday’s deepest regrets of life. There was never any regret for leaving professional baseball and all the money, power, and prestige that went with it, but the thing that grieved him the most was that his own children rejected Christ as their Lord and Savior. Lois and I are enjoying the weekend in Nebraska City at the Lied Lodge for the Heartland Converge District Pastor’s Renewal Retreat. This morning, the retreat speaker quoted the evangelist Billy Sunday. I tried to find that quote today but was unable. Can anyone verify that quote? If Billy Sunday actually said it, then what did he mean? That his busy ministry ruined his relationship with his children?